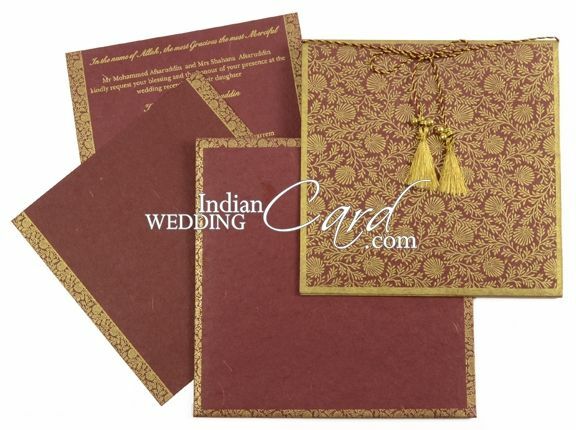 D-404, Red Color, Handmade Paper, Designer Multifaith Invitations. 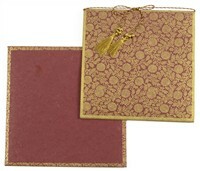 The front of this card has golden border design and a floral composition base in gold. 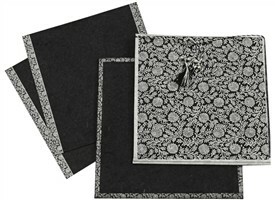 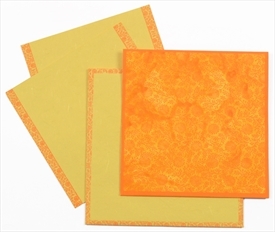 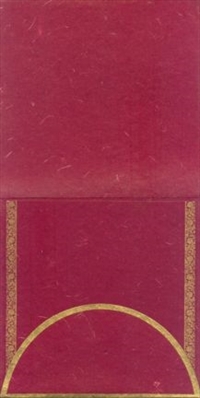 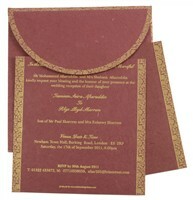 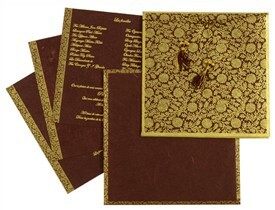 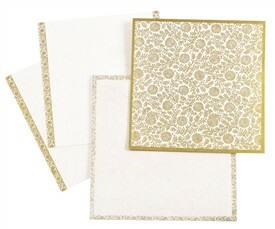 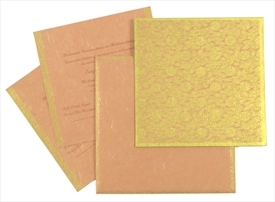 The docket has golden border and the inserts have golden printed floral strip border design. 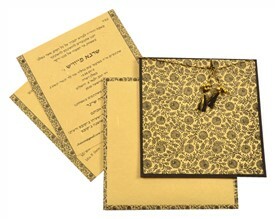 the card has silkan tassel tied to it in the same combination with tiny chimes tied to it. 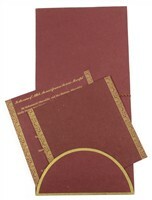 The envelope has border design similar to the inserts.